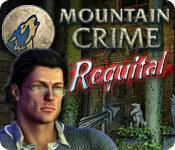 Mountain Crime: Requital is rated 4.2 out of 5 by 173. Rated 5 out of 5 by upsysydaisy from FANTASTIC SE GAME !! What a surprise, finding so much entertainment in an SE game !! This could easily qualify as a Collector's Edition. I actually played this game a couple of years ago. I enter all games I review in a notebook and discovered this one was not entered. I feel it very important to always submit a review on each game, so that other gamers are informed as much as possible before investing their money. In an ideal world we could receive a refund for any game we were disenchanted with, so I wish each gamer would take the time to put forth their honest opinion of every game they play, to assist their fellow gamers. I see that the game has been described many times here, so I will not repeat all the positive comments. For me it was an excellent adventure and lots of fun detective work. I loved the story, it was consistent and uncomplicated. The graphics were beautifully done and very clear and colorful. All the games/puzzles were perfect (for me). It was a long game, it all came together with a suitable ending and I was very satisfied with the entire experience. The purchase was worth every penny, I highly recommend to all levels of experience. Hope it provides you with hours of fun, as it did me. Rated 5 out of 5 by mnbl from Good game on a lot of levels! I've played many dozens of Big Fish HOGs and have never submitted a review before, but feel compelled to do so for this one because I enjoyed it so much. 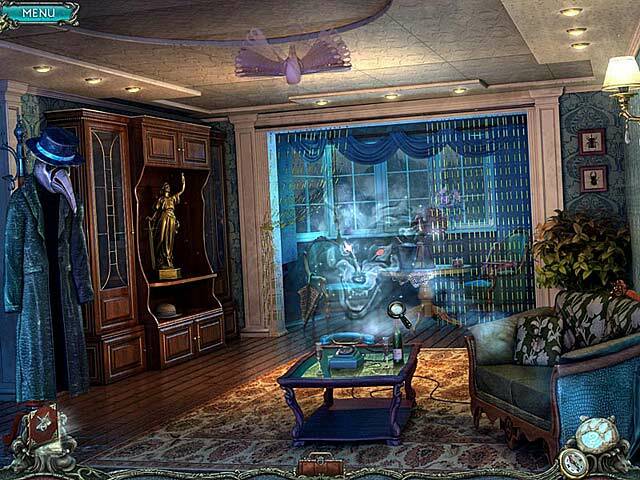 There was just the right amount of hidden object scenes and puzzles, with just enough challenge for an advanced player to stay interested. There was just the right amount of revisiting locations that I actually felt attachment to the places I returned to, like they were old and familiar, but with new secrets. Captivating plot, well-acted voiceovers, good music, and lots of suspense to be enjoyed in this one. The story line kept me intrigued enough that I actually found myself using hints and skipping puzzles because I wanted to know what was going to happen next. I am a purist who wants to play every game with no hint button/skips. And I didn't "cheat" because the puzzles were frustrating. This game actually has some effective ways to get around the annoying aspects of puzzles and HOGs, which I noticed more the longer I played. I skipped because I was too interested in the story line, and what was going on around me, that I wanted to progress faster. I don't think I have EVER done that before, after many dozens of HOG/puzzle/adventures! The graphics were good enough. The voice acting was mostly good enough and sometimes immersive. In fact, all aspects of the game seemed to get better as it progressed. There were some minor things I didn't like about it at the beginning that seemed to fit right into the plot line as the story advanced. The game kept going for long after I expected it to wrap up. And the story line kept me intrigued the entire time. There were also plenty of scares and laughs along the way, which is always endearing in a game like this. Bottom line: I recommend this game to anyone who, like me, has bought a million games like this and is just looking for something GOOD to while away the time. This game pulled me in and kept me hooked. That doesn't happen often these days, and it is about the highest compliment I can pay to a video game. So, that's my first review of a Big Fish game. Hope it helps, and that you all enjoy this masterpiece of a video game as much as I did! Rated 5 out of 5 by ahunter0701 from Very fun game!! Loved playing this. It had suspense and a great story line. 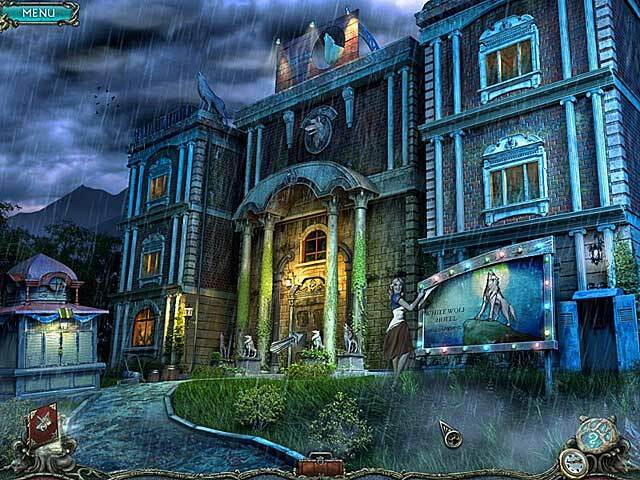 Awesome mystery game, and the graphics were nice. Loved playing this game and I definitely recommend it!! Rated 5 out of 5 by PeanutSquish from So glad I gave it a chance! I'd seen this game before but I didn't think it looked appealing. I was very wrong. When I started playing I realized that it was a really good storyline. There was a lot of things to do and different scenes to go back and forth (which I actually like to do). But the twists and turns of this storyline is what made it the best...including the final twist at the end. It was also a pretty long game, so definitely worth the purchase. Rated 5 out of 5 by rpggramma from Excellent game! What can I say!!! I WISH I COULD FIND EVERY ONE LIKE THIS!!! Absolutely a great game, all the way around, except for the ending!!!!?? Is there a sequel to this? This was truly enjoyable; excellent 'who done it". It will definitely hold your interest! Length of game is really good, suspense is great. Murder mystery, not for the faint of heart! But, oh sooo goood!!!! P. S. I didn't even mind the HOs!!!! Rated 5 out of 5 by 25woody53 from Surprise Game! This game is good; however, the "crimes" were brutal! 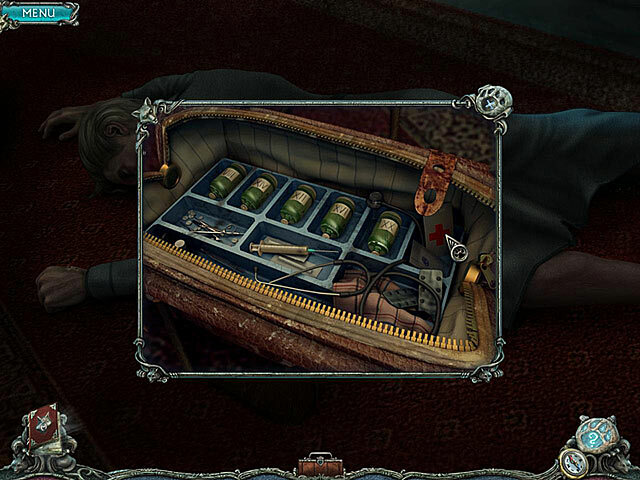 The quest and solving of the game was very good. The ending was a surprise and a bit confusing. The graphics were great. I recommend this game "if" brutal doesn't bother you. Rated 5 out of 5 by sushifiend3 from Spooky,Good! I loved this game, the scary parts(most all of it)were awesome. The trial makes you want more and more.I cannot wait to buy this one.The succubus was cool,I first saw one on a show(don't know if I can mention but you all know what it was),thought that was cool so to find an amazing game with one in it was the stuff. Thank you BFG for having such scary,spooky and awesome games ,look forward to a second,third and so on with this one. Rated 5 out of 5 by Jem_Jerrica_Guy from The large file size for this non-collector's edition is due to the graphics quality... ...and is THE BEST Non-Collector's edition I've played yet! Backtracking is not a bore once the story gets pieced together. Reminds me of Clive Barker's "Undying", http://www.clivebarker.info/undying.html , where you would go from the manor to different world and in the same places in the manor to find out some areas are locked at the moment... but when you DO go revisit those same areas, the action and story changes!